On Sunday night, in an unprecedented live event, the sarcophagus of a 2,500-year-old Ancient Egyptian high priest was opened by intrepid Discovery Channel adventurer, television personality, and author Josh Gates and the enigmatic egyptologist Dr. Zahi Hawass. And it all happened on live TV. Expedition Unknown: Egypt Live aired on April 7 at 8 p.m. ET on Discovery and this televised event was the first time that an ancient Egyptian sarcophagus had been and broadcast live. Josh Gates and Chris Jacobs joined egyptologist Dr. Zahi Hawass and Mostafa Waziri, the secretary-general of Egypt’s Supreme Council of Antiquities in what was the next step in an effort by Egypt to promote extraordinary archaeological finds, attempting to revive tourism after the 2011 uprising against former president Hosni Mubarak. 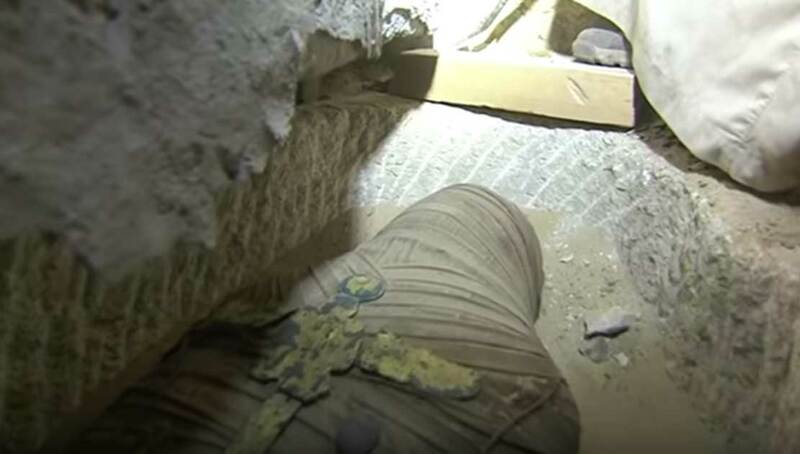 The two hour live program brought viewers through the burial site to the inner chambers of the priest’s tomb where two other mummies were found; one inside the ‘Family Tomb’ where the team found jars that had been used to store a mummy’s organs. The other mummy had inscriptions on its sarcophagus revealing the person was once a singer in the temple of Thoth , the Ancient Egyptian lunar god with the head of a baboon or ibis, who was associated with writing and knowledge. The high priest’s sarcophagus was decorated with gold banding and artifacts, as he was a “Great of the Five Priest of Thoth”. A Smithsonian article refers to Zahi Hawass as, “A regal combination of showman and scholar, he ruled a netherworld of tombs and temples, investigating age-old mysteries - the burial place of Antony and Cleopatra, the cause of death of Tutankhamen - for rapt television audiences.” In “Chasing Mummies: The Amazing Adventures of Zahi Hawass,” the History Channel a reality television series followed the intrepid archaeologist and his trainees on adventures. Besides the dramatic world of television, Dr. Hawass has made a number of major discoveries including the Tombs of the Pyramid Builders at Giza and the Valley of the Golden Mummies at Bahariya Oasis. He also discovered two Old Kingdom pyramids , one near the Great Pyramid of Khufu at Giza, and one belonging to a queen of King Teti at Saqqara. So what better a partner than Josh Gates who had already filmed in the infamous ‘cursed’ tomb of King Tut? For five years Josh hosted and co-executive produced the hit Syfy Channel series, Destination Truth, investigating age-old mysteries, cryptozoology and paranormal events and now he is the host and executive producer of the new Travel Channel series, Expedition Unknown . Traveling to some of the world’s most remote corners the series swings around Josh’s humor and passion for exploration. I watched the program and while it was very interesting, at times it went over the top with hype and a frequently hysterical presentation. Let's get back to actual archaeology and not "reality" archaeology.